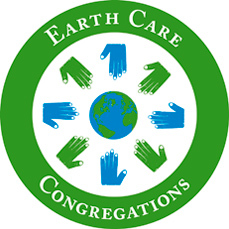 The Earth Care Congregations program was started in 2010 by PC(USA) Environmental Ministries. The goal of the program is to inspire churches to care for God’s earth in a holistic way. Our church is also a member of Delaware Interfaith Power & Light (DEIPL) marshals Delaware’s faith communities to face the serious issue of climate change. DEIPL seeks to ensure a livable planet for this and future generations. Our co-pastor, Rev. Bruce Gillette is the Vice President of DEIPL. All soda cans are donated to Meeting Ground, so please place soda cans in “Cans for Meeting Ground” bin in the kitchen. Recycling bins are located in the kitchen, kitchenette, outside the choir room, and in the main office. Please rinse food & beverage containers clean before placing in recycling bin. We are a Solar Church!